Gates of Vienna : Ashraf Ramelah’s latest essay reports on the reaction of the grand imam of Al Azhar to the Christchurch massacre, and the way Muslim leaders worldwide have used the opportunity posed by the atrocity to further their plans for Islamic expansion. In this quote, the lie he refers to is that terrorism belongs solely to Islam. The white, non-Islamic Australian gunman as reported by the media was a fact that debunked this assumption for the world to see. It was not an issue of sympathy, prayers and eulogies for the head imam, but of politicizing the perpetrator and the crime. Al-Tayeb’s fixation was with having another example of terror on the world stage — the infidel and “Christian.” His focus has been entirely on blaming those who single out Islam for the terror business. 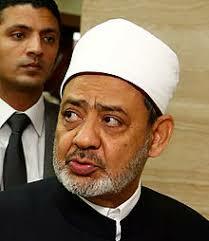 Please know that the grand imam of Al Azhar has never condemned the killings of Shia Muslims murdered by Sunni Muslims, any ISIS aggression, or any Muslim attacks on Christians and their religious institutions. Instead, through public and private TV channels, Al Azhar imams have instigated the notion that Sunni Muslims must occupy Rome, the White House and recapture Spain. As the facts of this horrible incident were uncovered, sympathy from New Zealanders began to pour forth with various actions binding non-Muslim to Muslim, including interfaith gestures. Many Christians delivered flowers to the outside of the mosque. Many entered in. New Zealand’s prime minister opened an emergency session of parliament with the religious Islamic greeting, “Al Salam Alikom,” attended the Muslim ceremony for the dead, wore a hijab, and recited Koranic verses.